If you wake up with allergy symptoms or if you just can’t seem to get a good night’s rest, you may have hidden allergens lurking in your pillow. Unfortunately, you can’t completely eliminate dust mites from your home, but you can limit your exposure to these allergens by using high-quality dust mite pillow cases from AllergyBeGone.com. 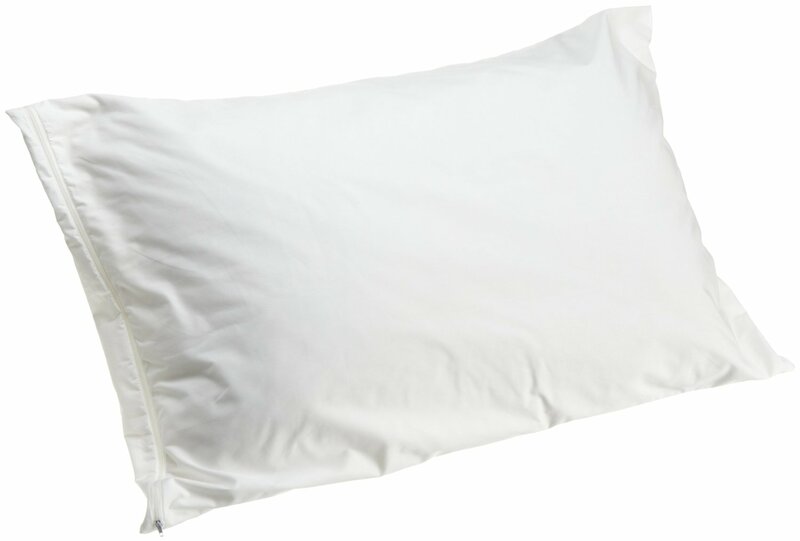 Our allergy-free pillow cases zip around your pillow to protect you from inhaling dust mite allergens. Dust-mite free pillow cases are an affordable way to control allergy symptoms during the night to get the healthy sleep you need. Our high-quality, allergen covers are designed to allow airflow for better comfort. Unlike hard vinyl barriers, or cheap imported encasings our pillow encasings block allergens while providing the comfort and luxury you deserve. Our Pristine BASIC pillow encasings are very good quality and keeps you separated from dust mites and bed bugs and is cool to the touch. Our Pristine PREMIUM pillow encasings are top of the line. At an average micron pore size of 2, it keeps all dust mites, bed bugs and any other types of allergens from escaping. It also has a smooth luxurious sheen of the finest quality.